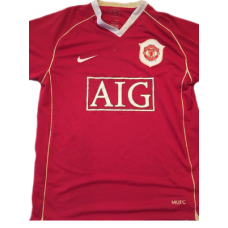 This Manchester United retro shirt home 2006-2007 is an original classic football shirt. 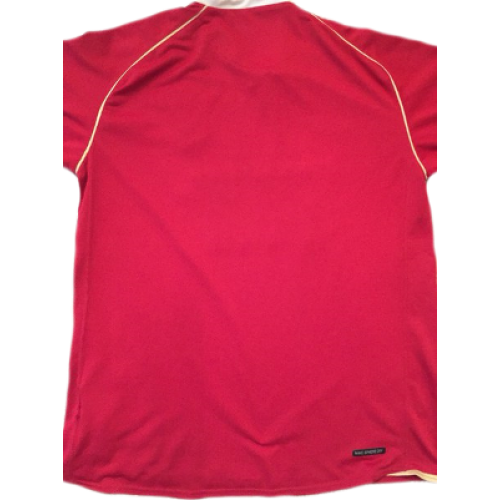 There is a little spot between Umbro and Nike logo in the M-size shirt, L-size shirt is in excellent condition. 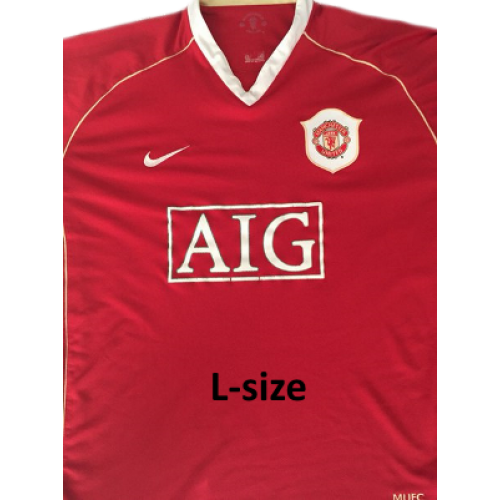 The 2006–07 season was Manchester United's 15th season in the Premier League, and their 32nd consecutive season in the top division of English football. United enjoyed a much more successful season than the previous three seasons, winning the Premier League by a six-point margin over Chelsea. They also reached the final of the FA Cup and the semi-finals of the UEFA Champions League, losing to Chelsea and Milan respectively. However, for all their success in the major competitions, the club was unable to defend the League Cup title they had won in 2005–06, losing to Southend United in the Fourth Round. Manchester United were not only dominant on a team level in 2006–07, but also on an individual level, with eight United players earning spots in the PFA Team of the Year, as well as Cristiano Ronaldo picking up no less than eight individual awards for his performances over the season and Sir Alex Ferguson winning the Premier League's Manager of the Season award. 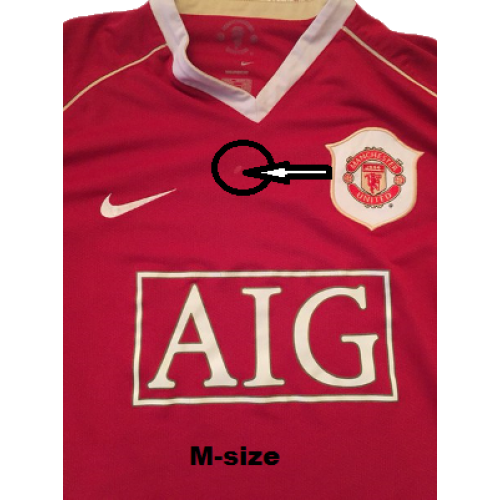 The 2006–07 season also marked the 50th anniversary of the Busby Babes' first foray into European competition. The event was marked by a charity football match, organised in collaboration with UEFA, who were commemorating 50 years since the signing of the Treaty of Rome, against a team of the best players from Europe's top clubs. 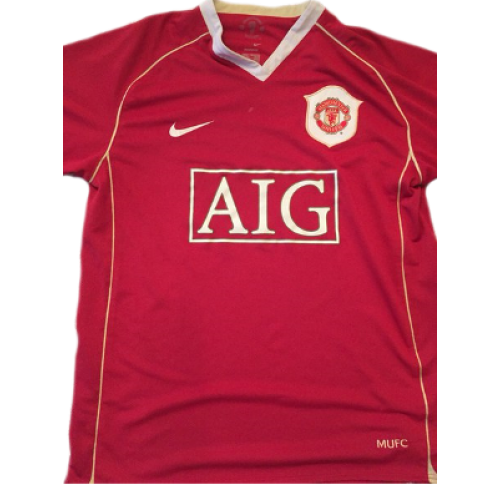 This Manchester United retro shirt home 2004-2005 is an original classic football shirt. The 20..